Across the U.S., teachers are integrating hands-on learning into their classrooms enabling students to work collaboratively while building skills through tinkering, creativity and innovation. This type of learning has many names including STEM/STEAM education and Makerspace. Any space or area available that can be used for students to program robots, build Legos, or even a treehouse is called a Makerspace. Summarized, it is any area that can allow students to collaboratively learn, build and construct while introducing and applying skills. Makerspaces not only allows students to learn from the teacher, but learn from each other as well. Some of the materials that are used for creativity and innovation include 3D printers, straws, popsicle sticks, Legos, drones, robotics kits and much more. “Letting students discover their own projects is what makes makerspaces so popular; it’s the application of algebra, writing and other core curriculum subjects that convince educators that makerspaces can be valuable learning environments,” said Matt Zalaznick from Makerspaces: Meeting of the Mindsets. There is no hiding that Makerspaces allows students the freedom to learn in a non-traditional way. Although this is true, in order to produce an effective Makerspace the right type of furniture and room layout are needed. 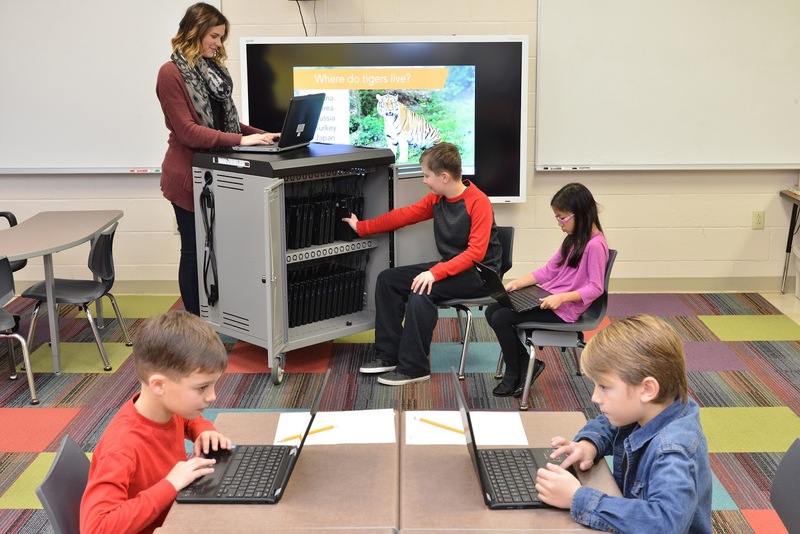 Rather than sitting in a traditional school desk, students now have the chance be mobile around the classroom and collaborate with other students. 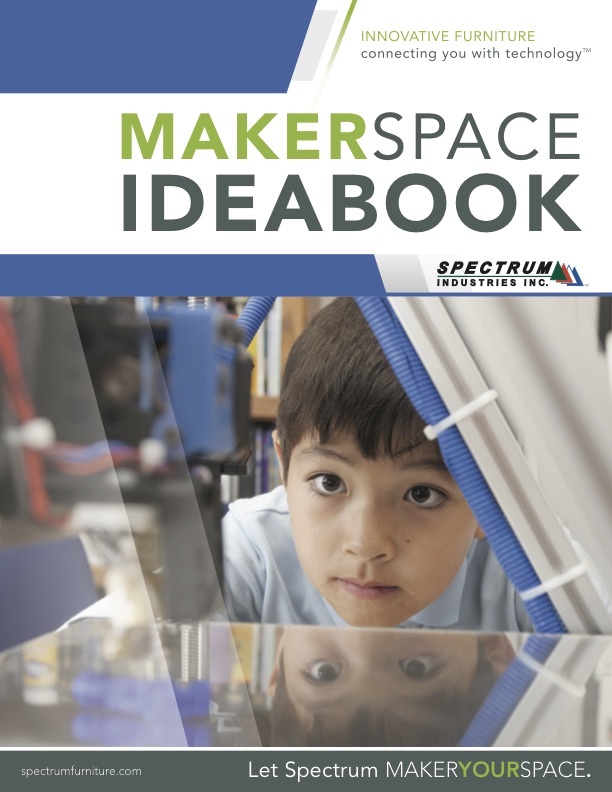 “Just as education has adapted to the ‘maker’ mindset, classrooms need to adapt to allow makerspaces to flourish,” said Ben Jones, Spectrum’s Vice President of Sales. Flexible furniture that allows for storage of parts, toys or electronics helps create an organized layout and also gives students the chance to practice responsibility when putting away makerspace materials at the end of the day. This also gives teachers the opportunity to lock and store away materials during any given time. 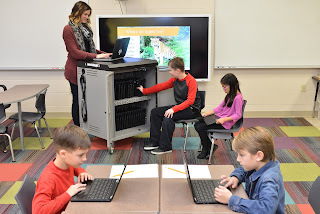 The correct type of furniture in a makerspace also allows for teachers to be mobile in the classroom and easily see how students are learning skills, applying creativity and collaborating together. How a makerspace functions corresponds with how students will utilize their creative space. Whether they are working by themselves or within a group, the purpose of the makerspace is to not only have students collaborate, be creative and develop fundamental skills, but to become inspired by the process of “making” in their makerspace environment. Room layout and furniture in a makerspace can make-or-break its effectiveness and collaboration component. Mobility, flexibility, separate areas for noise levels, storage space and even a display area for finished makerspace products are aspects that to a winning room layout that will offer students the most effective makerspace experience possible and inspire students.